But I will be revamping some of the models due to a new discovery I made in the TMD files, so look out for new updates. I am guessing you want me to link this page. 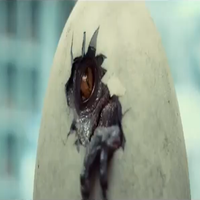 Any chance you will make an Australovenator? You can just mention me in the credits. 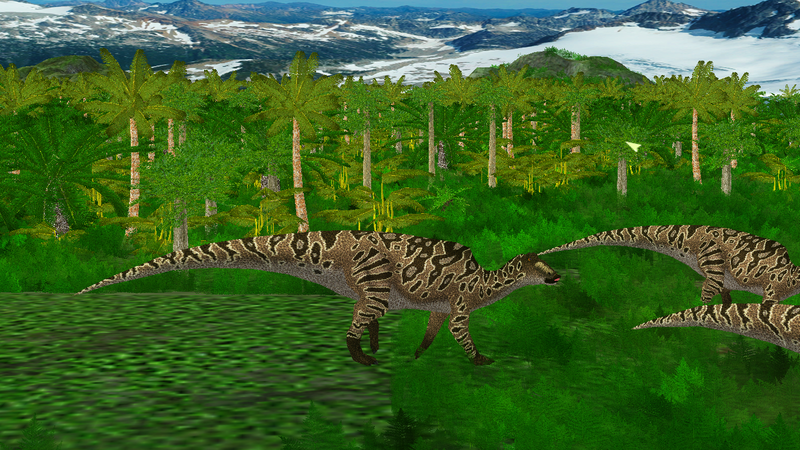 No idea about Australovenator, maybe after the whole megaraptorid phylogenetic position controversy is resolved. Denversaurus now has it's thought bubble back. Just redownload the model from the OP or the link below to get the fixed version. Think you could make a Minmi out of the Kentrosaurus model? Maybe. Should be easier than Denversaurus since it's a much smaller animal. 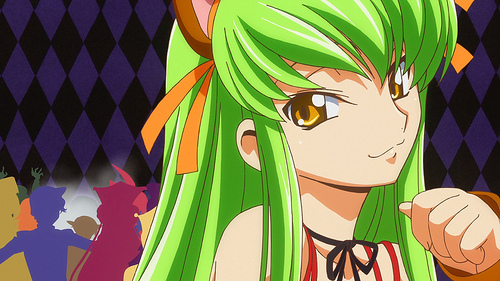 But I have some requests pending and I'm working on the later touches for my mod's next update. I was told that the Crichtonasaurus model from The Forgotten is actually partially made by you! 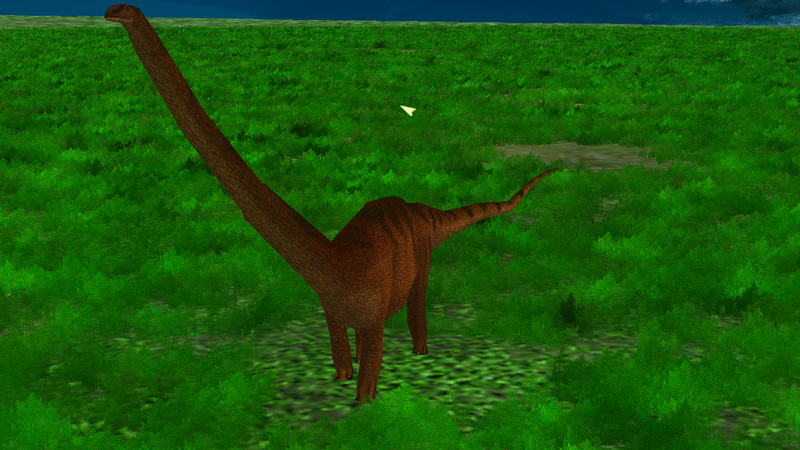 Me and my friends are working on a mod pack based on the 2000 Dinosaur film and were wanting to use the model for the Euoplocephalus character. Would it be okay? You would of course get due credit! I don't know who told you that, but it's completely untrue. I had nothing to do with the Forgotten's models, they were made before I started modelling in JPOG. I wouldn't want to take credit for something that isn't mine. Sorry, are you Oliphaunt? I know he changed his name when he moved here. Or did he? So sorry about that. But the maker of Forgotten told me to ask Oliphaunt, actually. I'll take another look around. EDIT: Oh I see him now! So sorry about that. I thought you were Oliphaunt. So... you gonna discart the ideia or try again to make Lieupleudon? 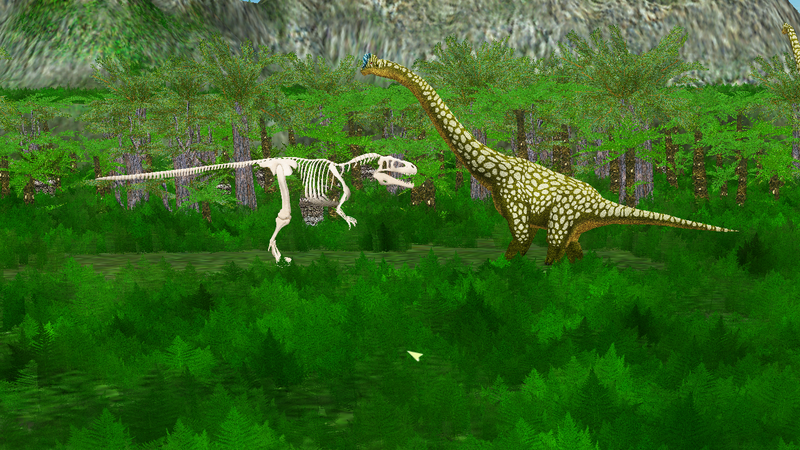 Good work on the new models and of the dinosaurs in v 1.02 of your mod. Now can you make a better attempt at Dilophosaurus, Gallimimus and Camarasaurus Supremus? 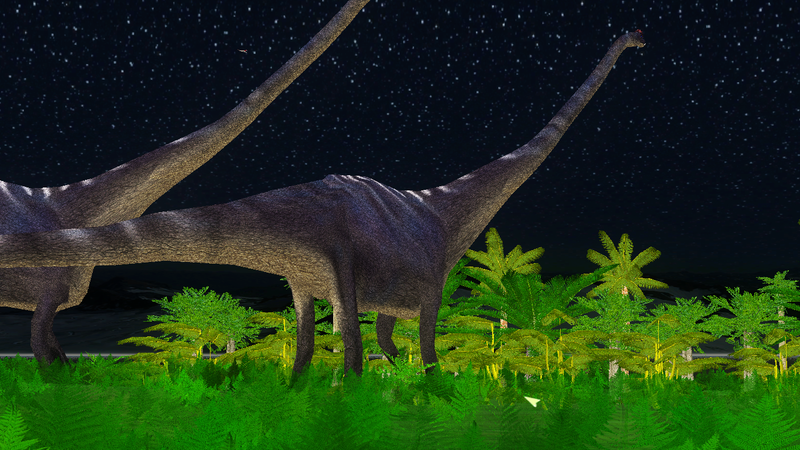 Updated the Saurolophus and brought back it's thought bubble. It also now has premade TMLs with bonus skins. Simply redownload below or from the OP. Can you do Maiasaura Peeblesorum? 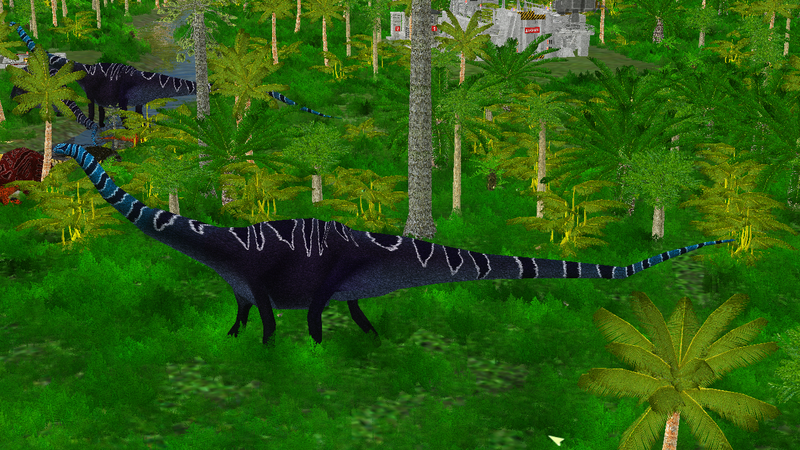 He's a cool hadrosaur. They now have longer tails (based on some unpublished edmontosaur tails, mentioned by Tracy Ford and Matt Martyniuk, as well as depicted in Saurian) and limbs (based on rechecking the actual limb proportions of Scott Hartman's skeletal). E. regalis is also smaller now based on scaling it to it's known skull measurements. 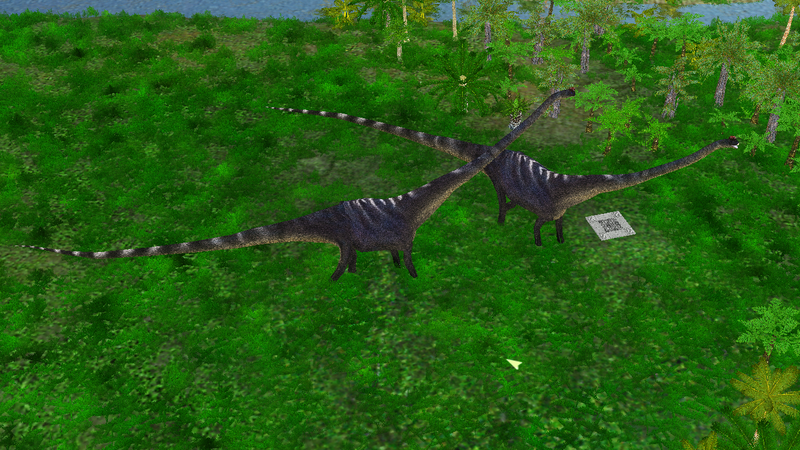 The older versions are now repurposed as generic saurolophines. In addition, some other older models are now either repurposed or removed depending on their quality. These are some really great models both accurate and appealing to the eye, I'm curious will we see a torvosaurus tanneri and or torvosaurus gurneyi model be added to the list one day? Here's a list I've generated of which bones in the dinosaur rigs use position based animations. These are likely to be the ones that you can't just modify the inverse skinning matrix (which is what most people seem to be doing) in order to change the scale of individual parts. This list seems to match the inability to edit some of these bones, so it's probably accurate. Sure, I could make some. I did it several times already. Their downside is that they tend to look, well, a tad chunky if downsized too far. 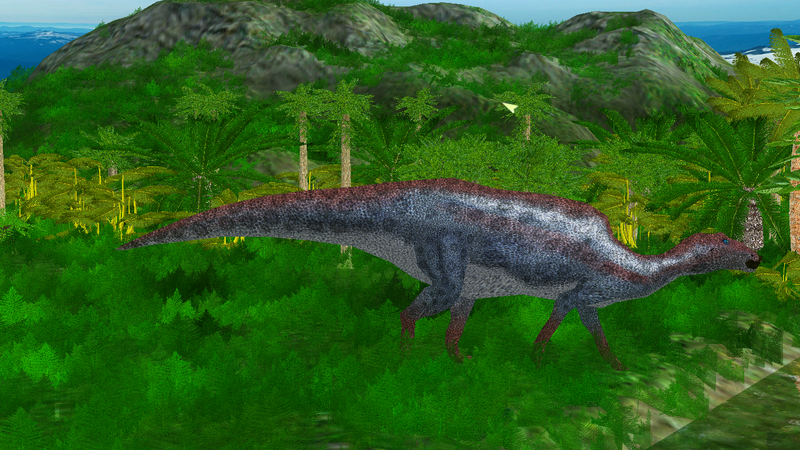 I made a Megalosaurus already, it's based on the ceratosaur model though. 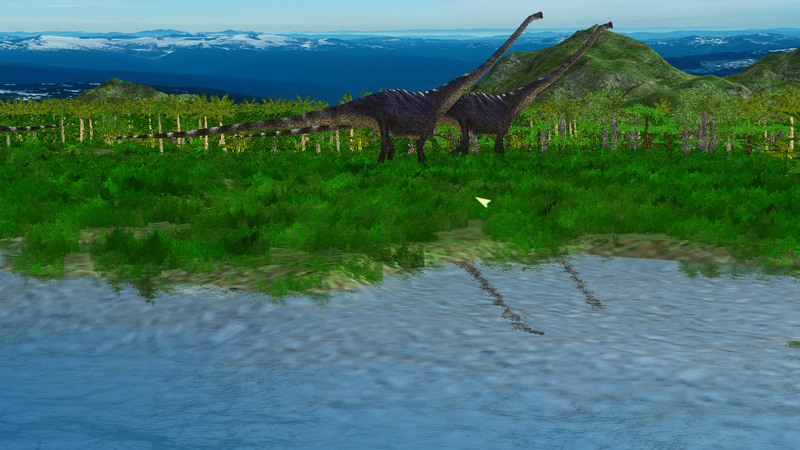 It's in the Mesozoic Revolution mod, but I could release it as a standalone model. That experiment looks nice, could give it a try someday. 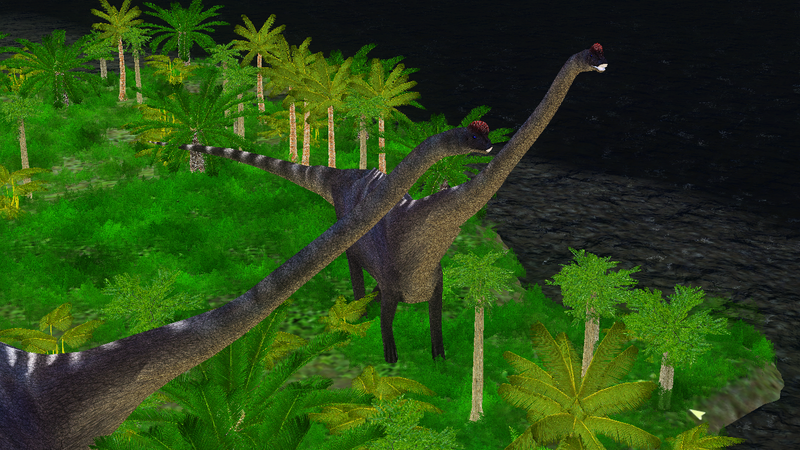 And not only that, here's a Supersaurus vivanae model, it's ~35-40 meters of supersauropod goodness, larger than my Diplodocus longus, and although it's still less massive than my Apatosaurus ajax model, it's longer than it. 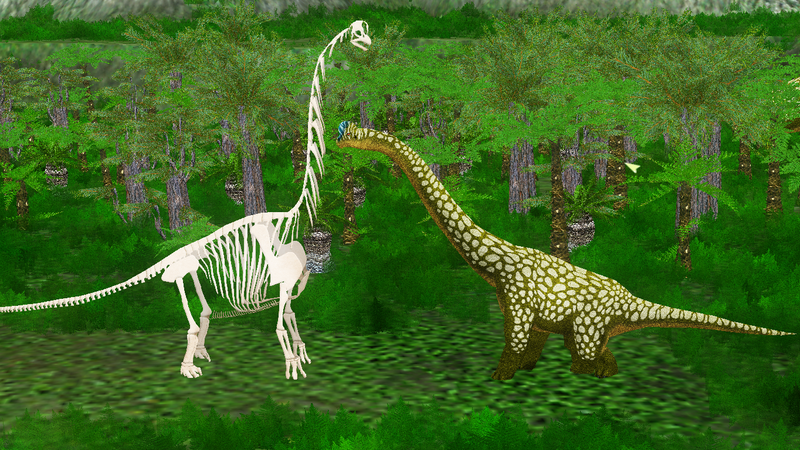 Based on Scott Hartman's skeletal reconstruction. 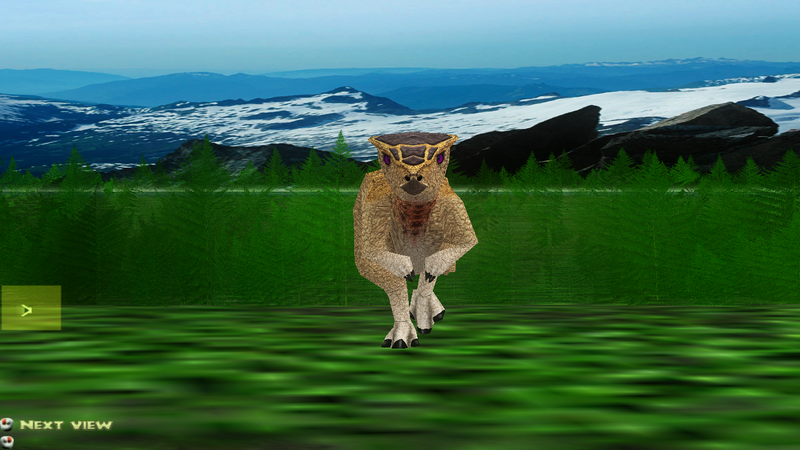 The Amphicoelias altus model recieves a revamp. It's neck is now straighter and higher, seems to look neater that way. The older version is still available for download. 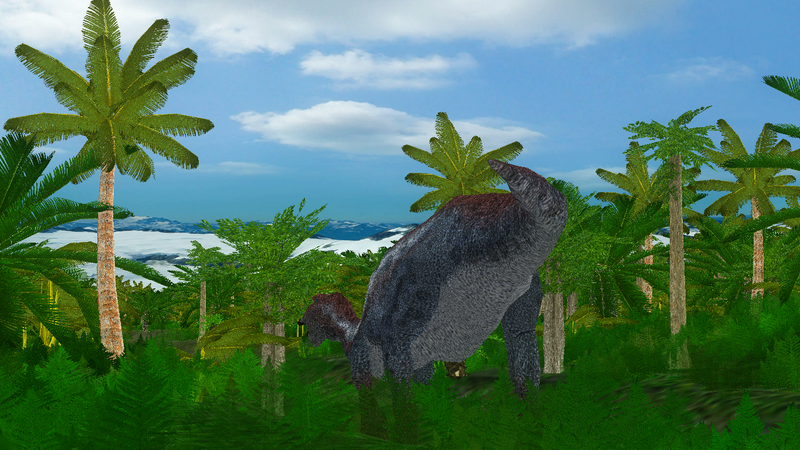 The juvenile Brachiosaurus also recieves a revamp and fix, it now has a thought bubble, among a few other tweaks. 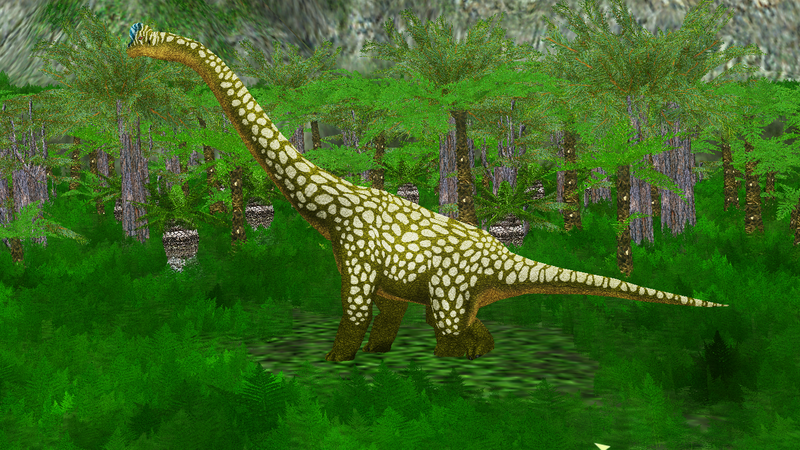 And last but not the least, Sauroposeidon gets it's thought bubble back now. Just redownload it either from the front post or the link below. The new models are very impressive again. 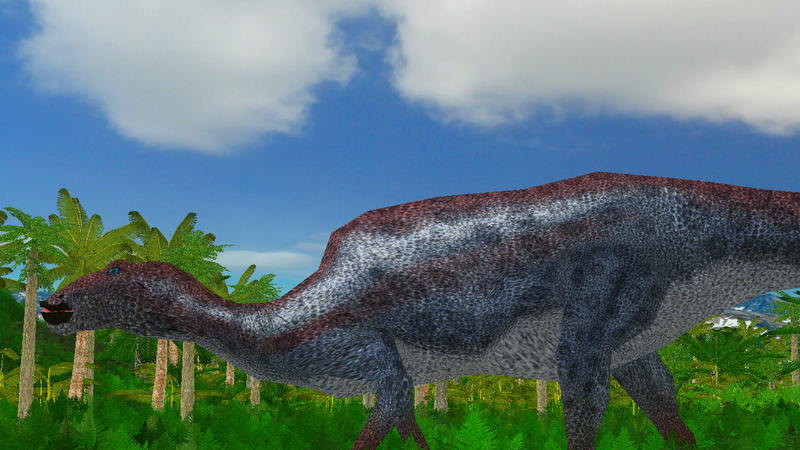 Could you make a better Dilophosaurus, Gallimimus and Camarasaurus supremus? Where's the Maiasaura i have requested? Also, i want to see the Argentinosaurus. 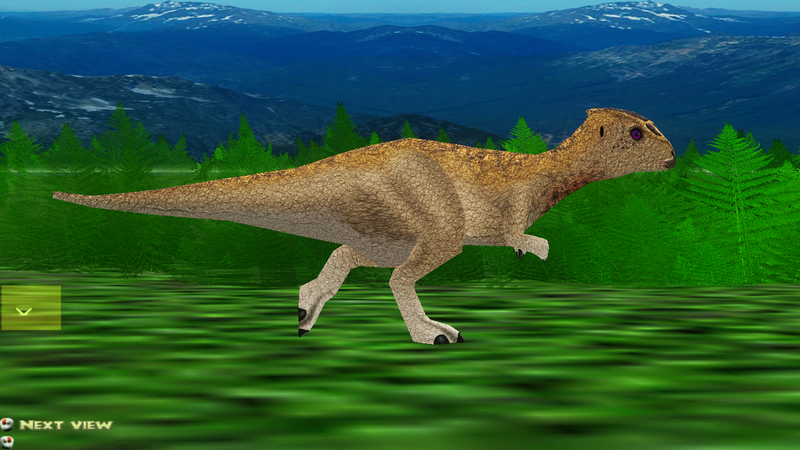 The quilled version of the Psittacosaurus model is now released. Of course, you'll need to skin it for it to have, well, quills. 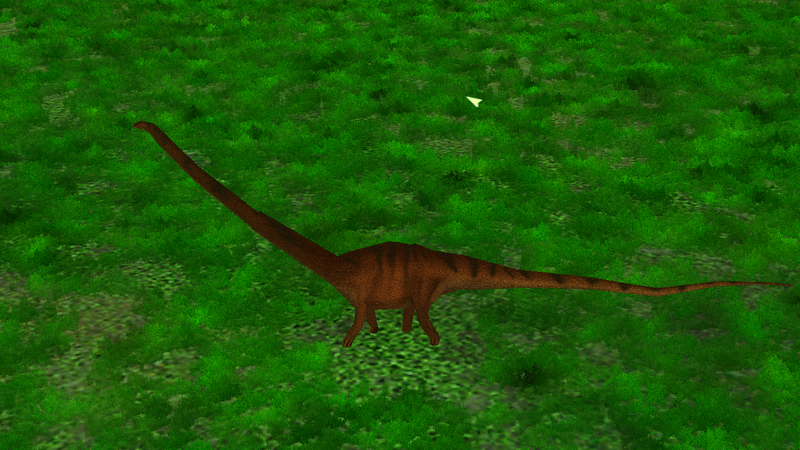 The Apatosaurus model now has a higher neck, so it no longer shoves it's head several meters below the ground when it eats or drinks. And, well, it's more in line with the Taylor et al. (2009) paper regarding neck poses. 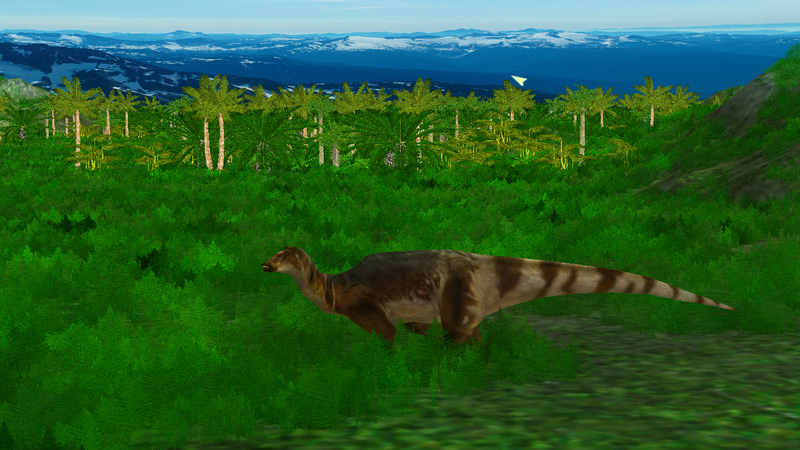 Maiasaura, requested by DinoWorld2014. Based on Scott Hartman's skeletal. 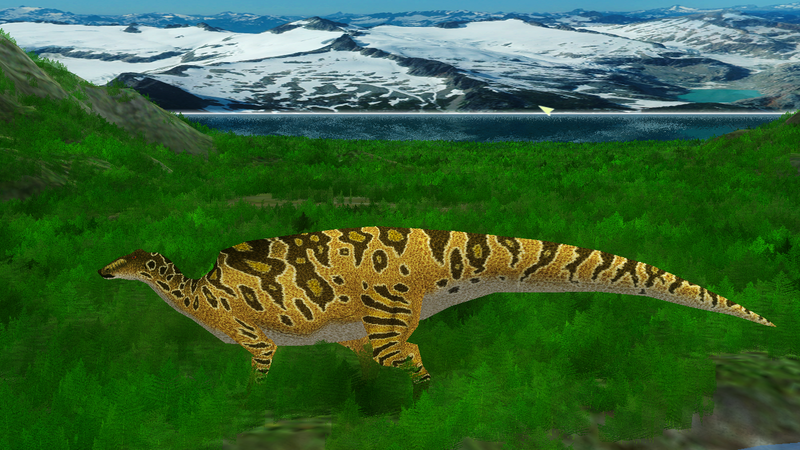 Saichania, an ankylosaurid from Asia. Reminds me of why we really need a global scaling value for models. I tried to base it off of Greg Paul's Saichania skeletal, but, let's just say that having the ability to resize whole models would be really nice. The Ankylosaurus model receives a slight fix in the legs, it was a bit asymmetrical with one leg thicker than the other. Not really that noticeable, but a fix is a fix. 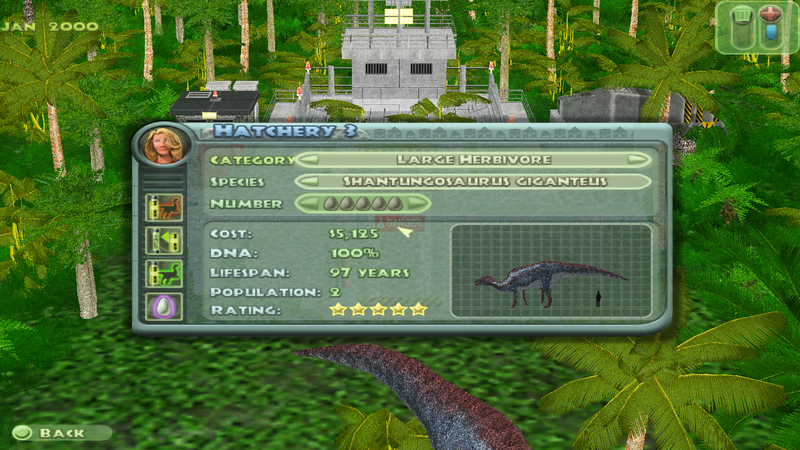 Can you make the model of the troodon and herrerasaurus of JP The Game by raptor model? 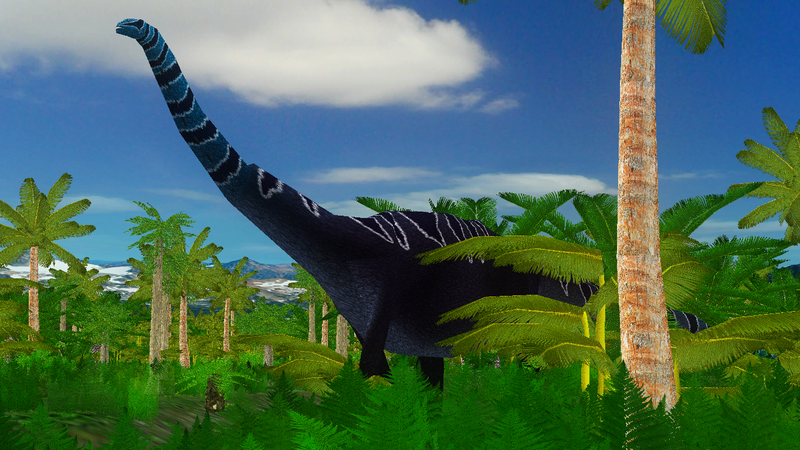 I request you to make Camarasaurus Supremus and Gallimimus models please!